12 red roses hand-tied with wax flower and textured foliage. Upgrade to super premium rose also available, please call the shop for further details. 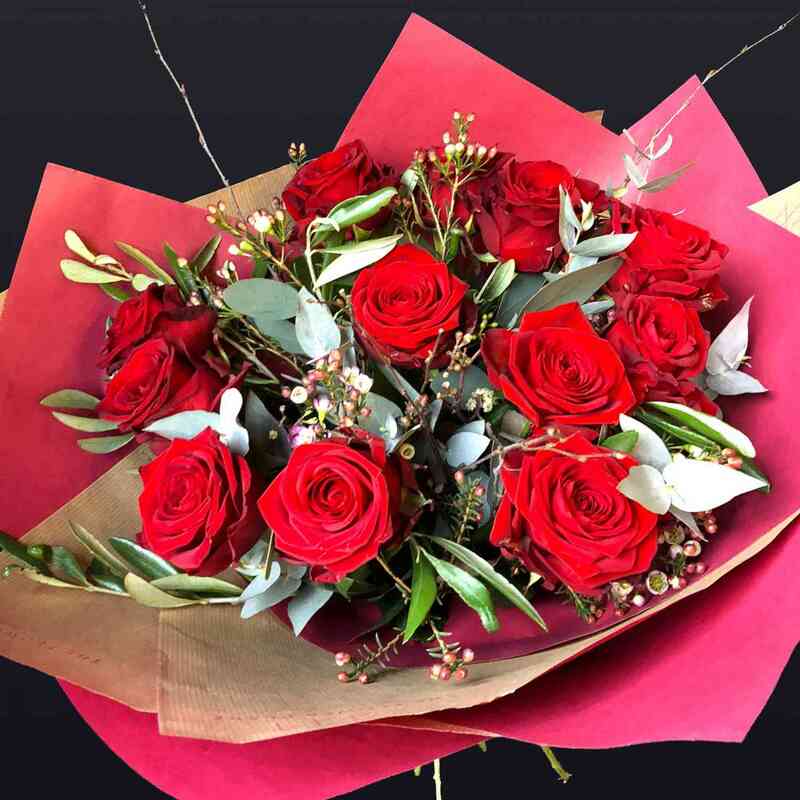 Call us on 01509 813 108 or pop in to our florist in Sileby Leicestershire to place your order.